The Franck Muller boutique located at the Avenue Louise in Brussels spans an area of 160 square meters in a duplex structure. The details of the boutique vividly reflect the aesthetic style of Franck Muller. 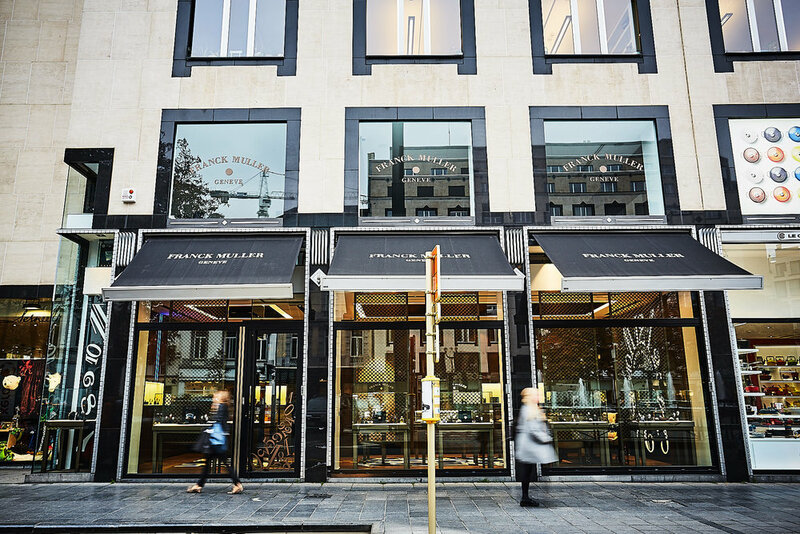 Embodying the strong brand identity that is consistent for all the boutiques around the world, the new Brussels boutique perpetuates Franck Muller concept store. The LED lighting design, long marble service table with numeral decorations and the woody environment immerses us in the brand universe. It provides comfortable and relaxing atmosphere to make customers enjoy wonderful moments in the boutique. The exclusive store offers a nice space for guests to sit down, to join the tranquility and appreciate the unique timepieces of Franck Muller.